Happy Friday Angelenos! Looking for things to do in L.A.? This weekend, it’s all about Dad doing Downtown because you don’t want him sweating over a hot grill. On Friday, check out the internationally acclaimed L.A. Film Festival. The festival showcases 200 domestic and foreign films including a pretty stellar documentary lineup. Festival hub is L.A. Live and tickets start at $13. 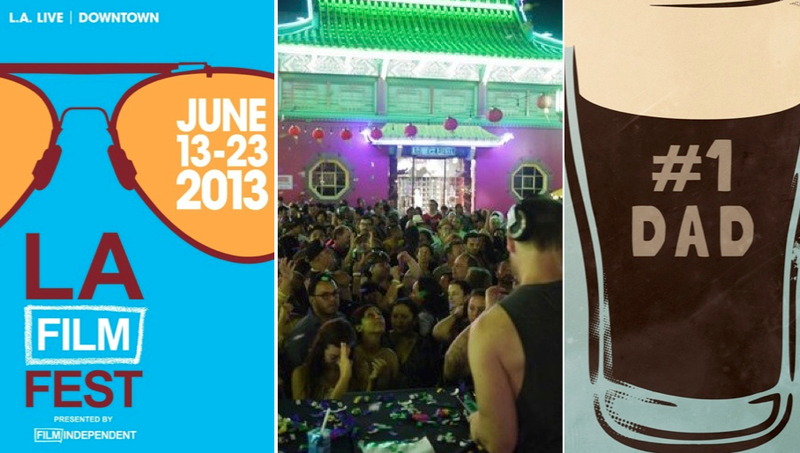 On Saturday, take him to the insanely popular Chinatown Summer Nights. Presented by KCRW 89.9, the event was named one of the best for music, food and culture. Dance the night away to KCRW DJs and live music while imbibing and noshing from gourmet food trucks. FREE from 5PM-12AM. Looking for something a bit more traditional, with some edge? On Sunday, the Father’s Day Collabrewtive Brunch brings together leading L.A. craft brewers, coffee roasters and chefs who will offer 6 brewery-roaster duos and 6 food stations for $50. Proceeds benefiting Share Our Strenth. Have a great weekend!